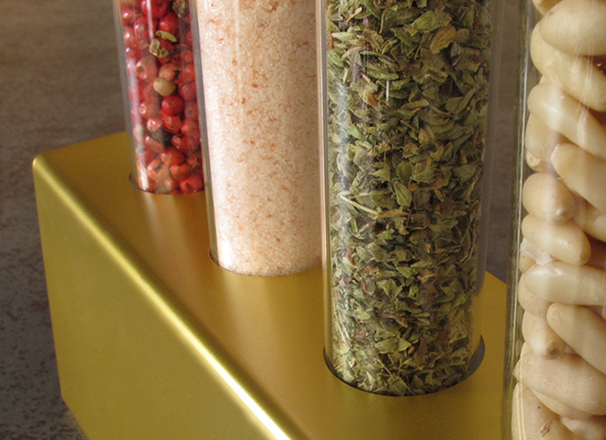 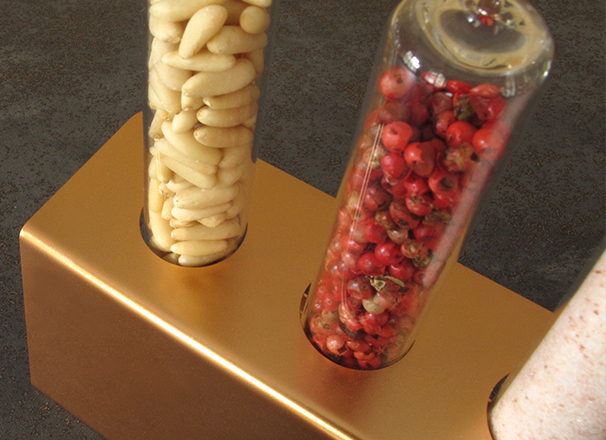 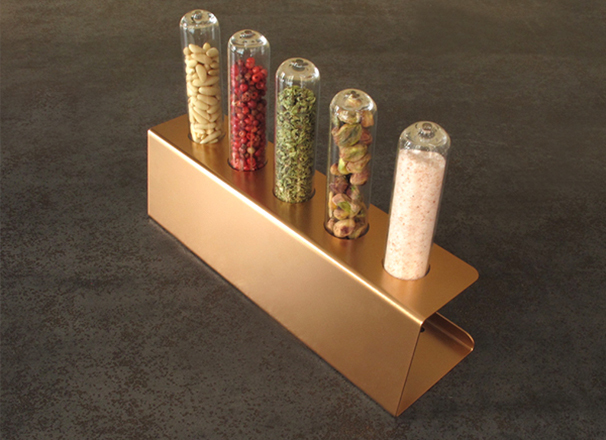 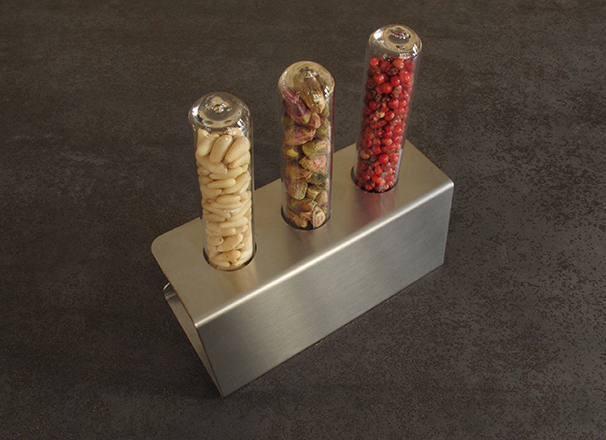 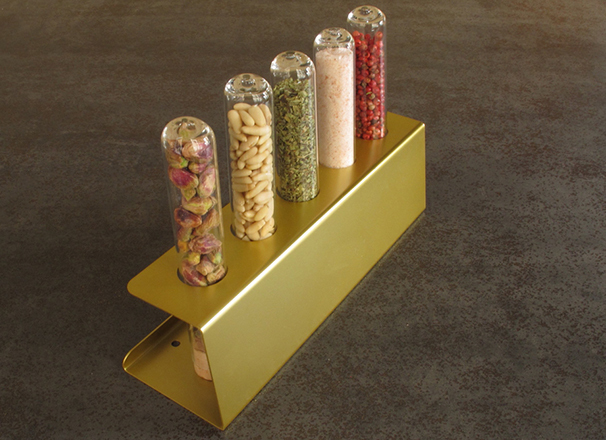 Spice racks is a project designed to organize your spices with an innovative design. 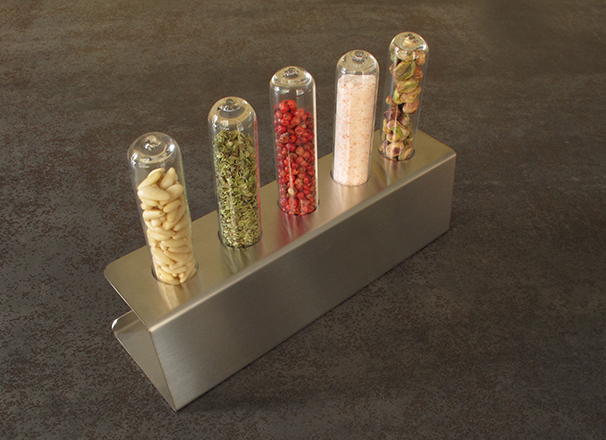 The products are manufactured using stainless steel and borosilicate glass. 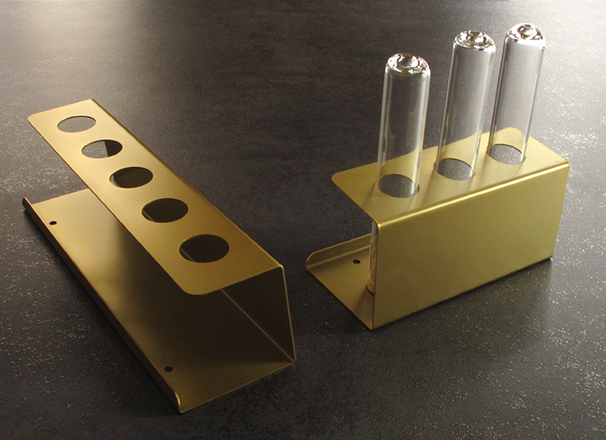 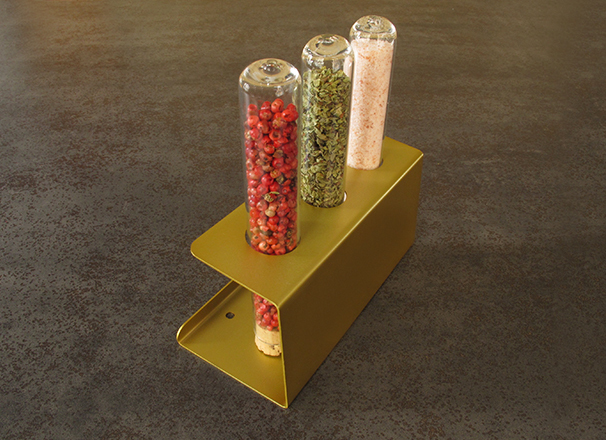 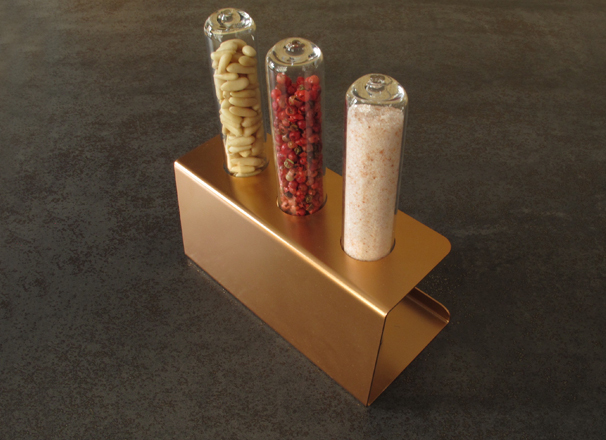 Spice racks is produced in two different sized and can be glazed in different colors, brass and copper.